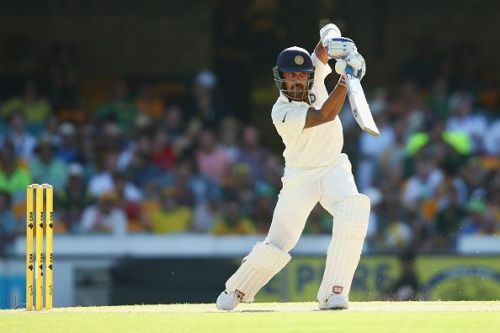 Murali Vijay is one of the finest Test openers that India got in the last decade. The journey of this stylish Indian batsman has been full of dramas, turnarounds, ups, and downs. He made his debut for India in the Test series against Australia in 2008. However, he didn’t get enough opportunities after that because of the presence of the then established pair of specialists Gautam Gambhir and Virender Sehwag. He made his first century against Australia in Bangalore in 2010 and showed his qualities of patience and temperament. But he failed to take that momentum ahead with his performances and as a result, he was dropped from the national side. Vijay went back to the domestic cricket and piled up a lot runs. He got another opportunity to show his caliber against Australia in 2013 and he immediately grabbed the valuable chance. Not just at home, Vijay proved his mettle in overseas conditions too. He was India’s best batsman during 2014-15 abroad tours of South Africa, New Zealand, England, and Australia. His effortless and effective technique, exemplary patience and flawless approach helped him in those away exploits. Vijay has played many good knocks over the years, and here we take a look at the five most prominent Test innings played by him. In the 2nd Test match against South Africa at Durban, Vijay played a very composed innings of 97 runs off 226 deliveries including 18 fours. He missed his first Test century there by just 3 runs in front of the world-class duo of Dale Steyn and Morne Morkel. That innings gave a perfect platform for Indian batsman and they managed to get to the mark of 334 runs in the first innings. This was his first 50+ score outside Asia. Not just Vijay, this innings gave a ray of hope to the Indian Test team too as they had desperate need of an opening batsman at that time. Unfortunately, India lost the match as Jacques Kallis played a magnificent knock of 115 and Steyn bagged 9 wickets in the test.